If you’ve ever had to create Ubuntu or Canonical related design materials, chances are you had a look at the Brand Guidelines, which, until now, have only existed in the form of bulky PDFs. 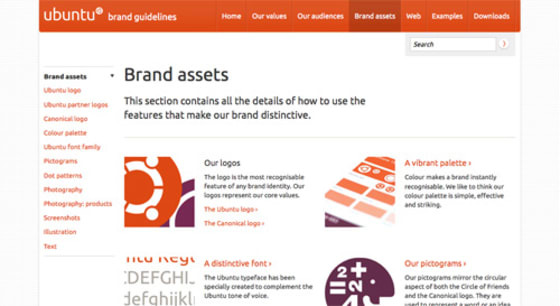 Those days are over, as we happily introduce the brand new Ubuntu Brand Guidelines site, where you can read the guidelines and download the assets necessary to create your projects. You can learn more about the Ubuntu brand values and the brand assets, such as our logos, colour palette and pictograms, and how to use them. You can also consult some of our Web-specific guidelines, look at examples of design work that has been done, and download assets like the logos and pictograms. This is the first iteration of the site: lots of content is being prepared and will be added later on, and we will also work on some refinements to the asset download process, as well as adding many more useful downloads, such as templates and photography. Among the more frequently requested assets are HTML and CSS snippets and templates that can simply be copied and pasted on internal and external projects, so the designer or developer can be certain everything looks as it should. This is in the works, but it’s something that takes a little bit more time to get just right, so please bear with us. For now, we’d be delighted to get your feedback on this first version: have you found anything particularly useful on the site? What would you like to see there that you think it’s missing? How do you think it can be improved? 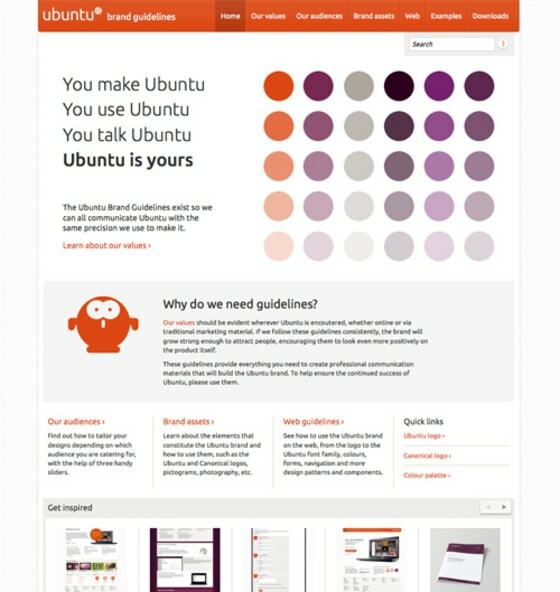 We hope we enjoy the online Ubuntu Brand Guidelines!